Five years after the financial crisis eased, sovereign debt, budget deficits and austerity politics still dominate the headlines. Yet despite deep cutbacks in many countries, governments still remain the largest asset-owner in most economies. They just don’t know it. Many of these assets exist beyond the balance sheet in the form of public land and real estate, state-owned enterprises and sovereign wealth. There are a number of implications to this hidden value. For instance, radical change in the way we understand and manage state assets could help tackle some pressing social and economic policy challenges. Clearer accounting of the ownership of and yield from public assets could augment public revenues, empowering the government to address public and household debt, income and wealth inequality and a lack of affordable housing. 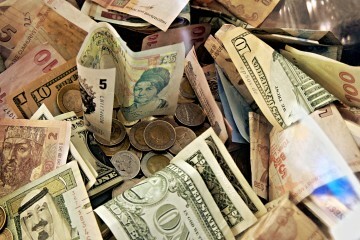 A better grasp of monetary policy and the potential feasibility of initiatives like “people’s quantitative easing” could isolate when monetary reform might be necessary to meet the challenges of tomorrow. In Britain, infrastructure investment programmes are now prominent features of both the main political parties’ programmes, while proposals for a universal citizen’s income, a monthly payment to every citizen by right and the creation of a sovereign wealth fund to help cover the state’s liabilities for vital public goods continue to gain traction. There is also growing pressure for land ownership and property reform to ensure a functional housing policy. Identifying and properly accounting for state assets offers new possibilities for funding these ambitious policy programmes. This blog series aims to contribute to that understanding. 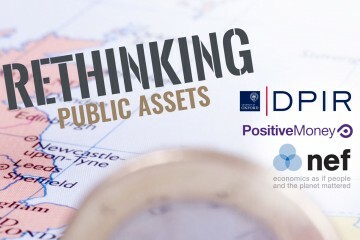 Building on workshops co-hosted by Oxford’s Department of Politics and International Relations, the New Economics Foundation and Positive Money, the blog series aims to inform policy and public debate on the potential of public assets. This should shift political and public discourse beyond “public versus private” dichotomies to help identify innovative ways of financing the twenty-first century state. This blog series and related seminars were supported by the University of Oxford’s ESRC Impact Acceleration Account.